The 2015 Monkey horoscope predicts that the Year of the Green Wood Sheep will bring you positivity and success. You have worked hard in the previous years, now is the time to reap the rewards of your hard work. As this Chinese zodiac sign is compatible with the goat, you can do a lot this year. You are an intelligent person and able to easily influence others. Use your influence for good and stretch your wings in new directions. Your thirst for knowledge is insatiable. Satisfy this hunger with continuing education in a field of interest. The Chinese horoscope 2015 foretells that monkeys are incredibly inventive. Use your resources to further your career. You have more clout than you know. When it comes to your love life, leave the power of persuasion out of it. A genuine approach is best otherwise you’ll come across as shallow. It’s important to keep any standing doctor appointments. Friends come to you for some serious advice. Be patient and listen. It’s time to start thinking about some down time and planning a much needed vacation. The 2015 Feng Shui yearly predictions for the Monkey forecast a year of happiness, joy, excellent finances and loving relationships. The Monkey 2015 horoscope predicts a year of high activity and a lot of energy and enthusiasm. The Monkeys are known to be energetic people. But in the year of the Sheep, their energy will see new highs. Too much of anything can have an adverse reaction on your life. So it is better to be careful from the beginning. 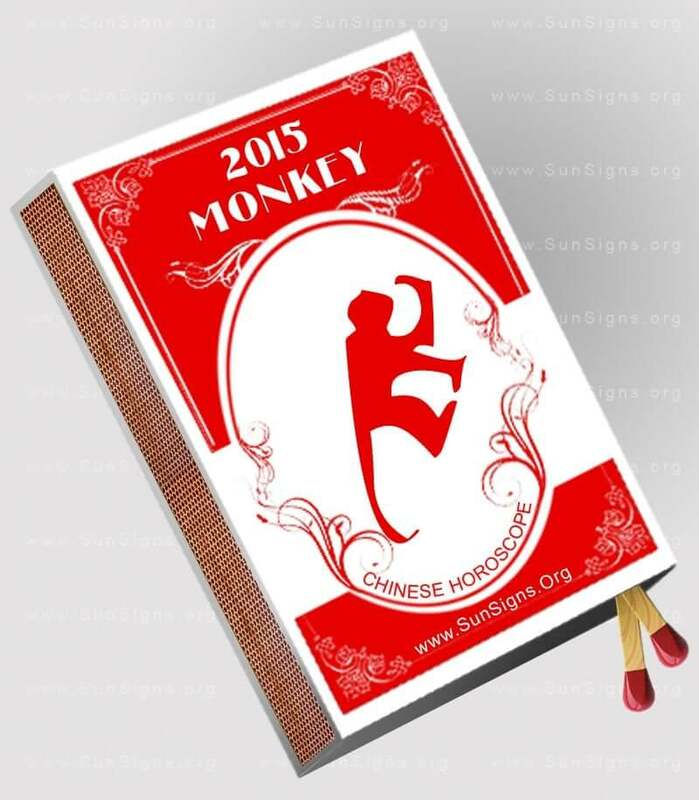 The Monkey horoscope 2015 foretells that you will be lucky in matters of the heart in the Chinese New Year 2015. Many monkey people might even think of getting married this year. This is also a good time to have children if you or your spouse is planning to get pregnant. But relations with your friends might not be too great. (Test your Chinese zodiac compatibility). In the area of love, be yourself. There’s no need to impress. Others have already taken notice. You won’t have to persuade anyone to be your partner if you remain genuine. By the fall, you will have many genuine love prospects. If you’re already involved in a relationship, now is a good time to remind that special someone just what they mean to you. Don’t become complacent. Renew the spark in your relationship by being romantic and spending quality time with your partner. The monkey in Chinese astrology 2015 will be the sole support for their friends. Friends will need to lean on you in times of crisis this year. You are seen as a stable force and they need your advice. Take the time to listen to their issues and be gentle with them. You will also want to spend time with them in the holidays. The year of sheep 2015 predictions suggest that family ties seem to be getting stronger. An old grudge between family members is finally settled with your help and leadership. It is very important that you remain diplomatic in this situation. (Also read your corresponding Leo 2015 horoscope). The 2015 Monkey horoscope forecasts that it will be easy for you to climb up the corporate ladder or start a new business. But do not let your hyperactivity spoil things for you. You need to have a plan and work accordingly. Money can come in between partners in business, thus leading to ill-feelings and resentment. It won’t be difficult for you to reach the pinnacle in your job. But the question is whether you will be stay at the top and for how long! (Take the co-worker compatibility). The Chinese horoscope 2015 predictions for the monkey foretell that you are a resourceful person with politician-like qualities. Use your talents to further your career, while others are taking notice. If you can hone your skills in the right direction, a promotion comes your way in late summer. The pay increase, that comes with your promotion could be quite significant. If so, don’t give in to your inner child and buy that flashy car just yet, as you have past debts to reconcile first. Because you love learning, enrolling in a few continuing education classes will only go to serve your career. Make no mistake your efforts are being monitored. You might experience some jealousy from coworkers. Ignore any negative energy that comes your way. The monkey predictions 2015 suggest you continue on your path and set a good example by staying focused. In the second half of the year, monkeys will be in a good position to change jobs or start a new business venture. Maintaining good relations with your partners and colleagues will play a major role in your success. Money and finances will not be a problem for those born in the year of the monkey. So invest wisely instead of splurging on luxurious items that will have no value after some time. The 2015 monkey horoscope predicts that the health of people born under this Chinese animal sign will be excellent and without much problem. Staying healthy has never been much of an issue for you. Do not take your health for granted. Schedule and keep any standing doctor appointments. Your routine will become quite hectic in the coming year, so maintain your health to meet the new demands as they come. (Get a free body Chi Constitution analysis). If any issues do arise in the Year of the Sheep, it will be in the area of energy and stamina. Due to the ever increasing stress of new job demands, you will need to stay on top of this problem. Check with your physician regarding nutritional supplements and ways to increase your vigor. The Chinese 2015 zodiac predictions forecast that you are overdue for a well deserved vacation in the fall. This will help you to relax and recharge. Start thinking about a destination now and making travel arrangements, as you may not have much time to do so once you are promoted. Overall, the 2015 monkey horoscope predicts a favorable year. If you have a good game plan in place, it won’t be very difficult for you to move ahead at a good pace in life. 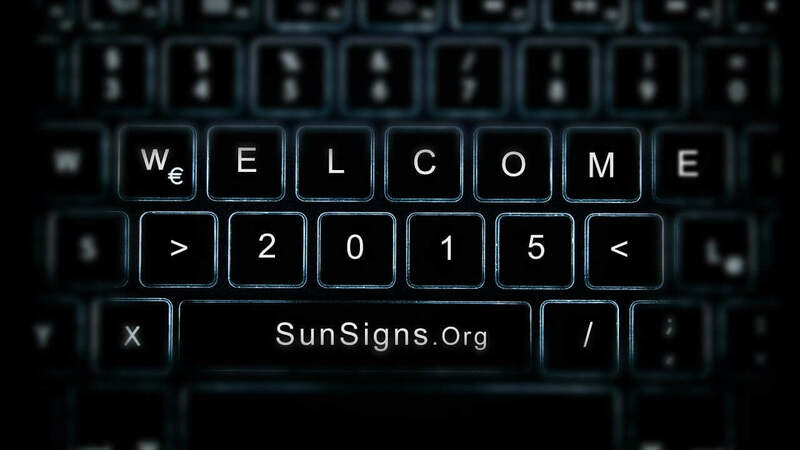 The sun symbolizes power and this is what is seen in your horoscope this year. Be constructive and use your excess energy for something useful instead of wasting it on mundane tasks.